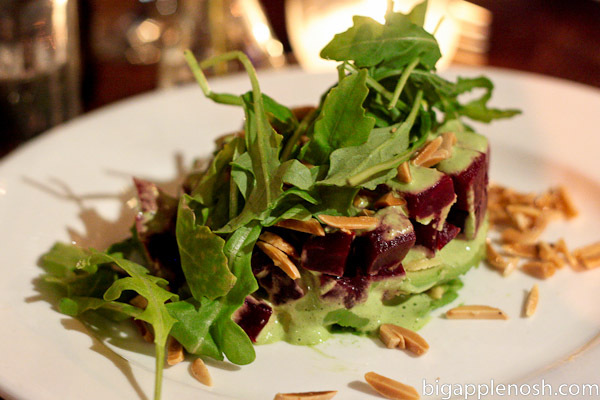 a salad of roasted beets, avocado, almonds, and herb dressing. I’ve become a recent fan of beets, and the sweet and mild flavor complemented the creamy avocado perfectly. The almonds added a much-desired crunch, and the herb dressing had a bit of a tangy kick. Deelish! 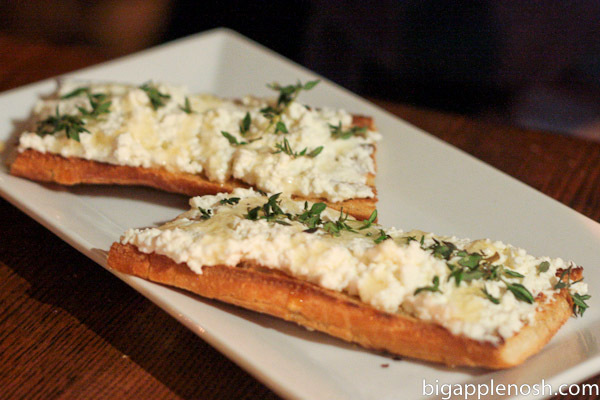 I love ricotta and honey, and the thyme really rounds out the flavor. This almost felt like a dessert, but I didn’t let that stop me from finishing it! 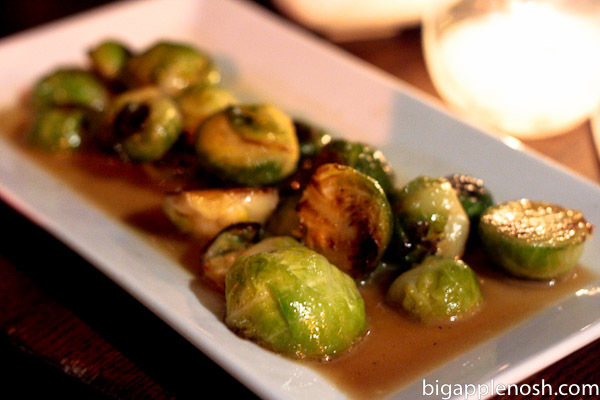 Doma roasted these sprouts in a sweet vinaigrette, and once again, I gobbled these cute little guys up. 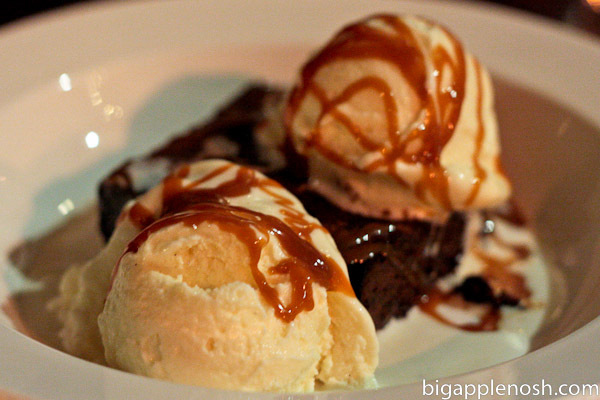 The sundae was pretty standard – not the most AMAZING sundae in the world, but perfectly acceptable (to devour entirely). Doma is housed a quaint space with windowed seating, friendly and knowledgeable waitstaff (they walked my eating buddy through several different wine options), and a varied and interesting menu selection. If you’re ever in the West Village, give this little restaurant a try! Quaint Village ambiance and delicious food to boot. ooh yummy finds in a wine bar! I love snacks to go with my glass of bubbly. 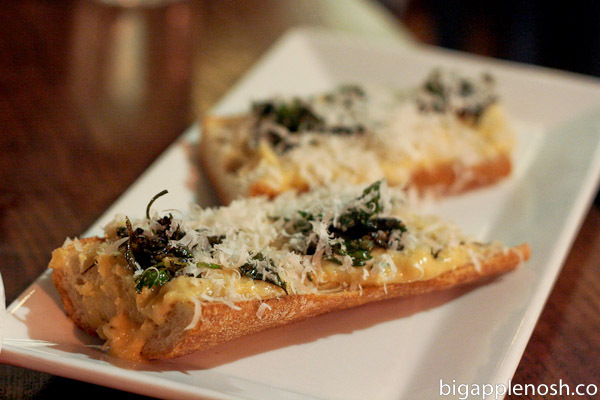 mm I love food at wine bars. They feel fancier. Home made ricotta?! All of it sounds amazing but that crostini looks to die for. um, honey. and beets. looks and sounds delish, especially on a cold and wet day like today! yum yum yum. It all looks amazing. Oh my gosh that looks delicious!! And look at you choosing to order the veggies! Makes me long for my 3 years living in the W Village. Loved all the little restaurants! This one sounds great!! Mmmm that ricotta looks fantastic! my mouth is watering for those crostinis! I love stumbling upon new places to eat with no preconceived notions. It's such an adventure and so much fun! Hope you're having a fab day sweetie! I love wine bars, and I love the West Village! Will definitely have to try this out the next time I'm in New York! what a charming meal! i'll have to keep it in mind next time i'm in the village.